Master Makoto Gima was born on September 28, 1896 in Okinawa. After graduating from Okinawa Shihan Gakko (Higher Normal School), Mr. Gima studied in Tokyo at Shoka Daigaku which is presently Hitotsubashi University. In 1912, under the guidance of both Masters A. Itotsu and K. Yabe, Mr. Gima chose the way of karate. 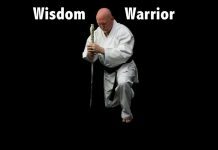 Weak since infancy, it was through Makoto Gima’s study of karate that he became healthy and strong. 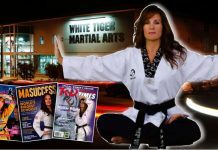 Eventually he became a master both martial arts and scholastic studies. In 1922, Master Gichin Funakoshi, who later would found the Shotokan School of Karate, traveled from Okinawa to Tokyo and established a dojo at Meisei-Juku, which was a dormitory for his Okinawan students. Mr. Gima began training with Master Funakoshi’s and became Assistant Instructor at the first karate dojo on mainland Japan. During this time, Judo Grand-Master Jigoro Kano requested a karate demonstration at the Kodokan (Judo headquarters). 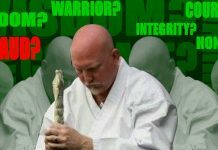 As Master Funakoski’s assistant, Mr. Gima demonstrated the kata Tekki Shodan, while Master Funakoshi demonstrated Kanku-dai kata. They also did a demonstration of Kihon kumite. Later, Mr. Gima participated as a partner with Master Funakoshi in order to expand karate in Japan. In March 1923, Master Funakoshi promoted Makoto Gima to the rank of 1st Degree Black Belt. In January 1956, Mr. Gima received his 10th Degree Black Belt from Master Kanken Toyama of the Karatedo Shudokan. 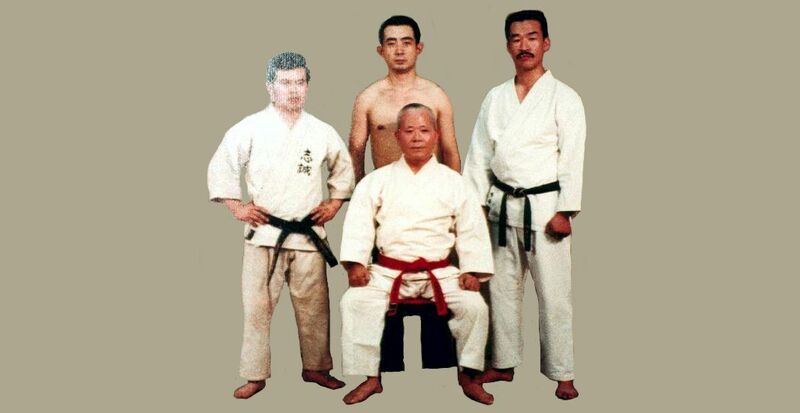 During Master Gima’s karate history, he had the opportunity to observe the formation of the Shoto-kai, as well as the Japan Karate Association. After graduating from Hitotsubashi University in 1923, Makoto Gima entered the teaching profession and taught at Kumamoto Commercial School; at Maebashi Commercial High School; at Yamagata Commercial School; and served as principal at Kofu Commercial High School. Makoto Gima was also employed at the Kajima Corporation Company. While making karate the mainstay of his life, Makoto Gima successfully held the posts of Advisor to the Shudokan, President of the Okinawan Karate Association, President of the Shibuya-ku Karate Federation, President of the Shutoken Karatedo Association, Advisor for the Japan Karatedo Federation, Technical Advisor for the All Japan Karatedo Rengo Kai, President of the Gima-Ha Shoto-Ryu Karatedo Association, and was the number one instructor (Saiko Shihan) of the Kajima Corporation Karate Club. Sadly, Master Makoto Gima passed away in 1989. Hired at the Kajima Corp.